Thursday, 4 September 2014: One Year, One Hundred and Fifty Seven Days Old. 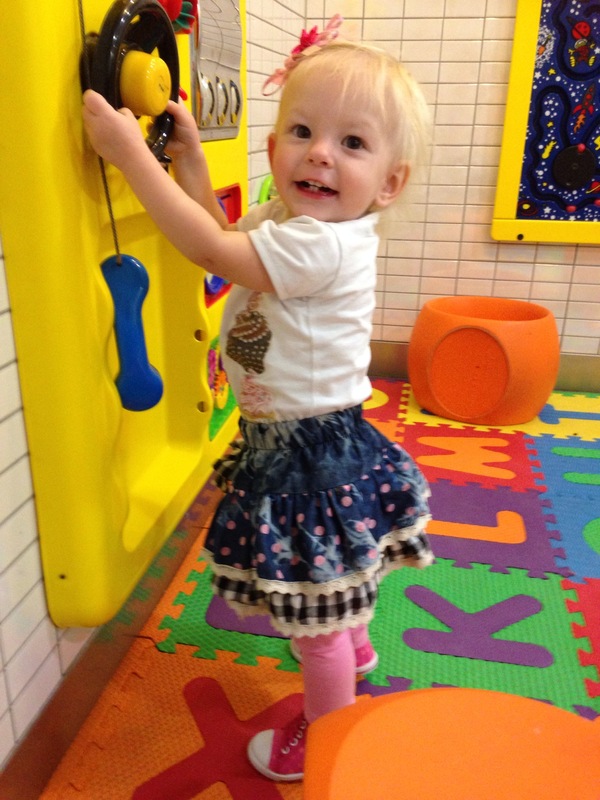 Ayla has decided to start toilet training… herself! She recently learned the word “wees” and just out of the blue today Ayla decided to take her learning up a notch but proclaiming “wees!” and toddling off to the toilet. I try my best to get her to the toilet, open the door, lift the lid, take off her pants and undo her nappy before she actually does her wee, but so far the closest I’ve got is catching the last few drops on the side of the bowl. But the lesson has been learned so I’m consequently preparing myself to stop talking mid sentance, stop chewing halfway through a sandwich or stop with only a rinse of my shampoo to go, all in the name of getting my girl to the loo.